Greetings from Addis Ababa, Ethiopia, where I am leading and mentoring in the 2017 East Africa Media Lab with 10 excited fellows from Sudan, Uganda, South Sudan, Tanzania and Ethiopia. This week has been a busy one for my team and I. 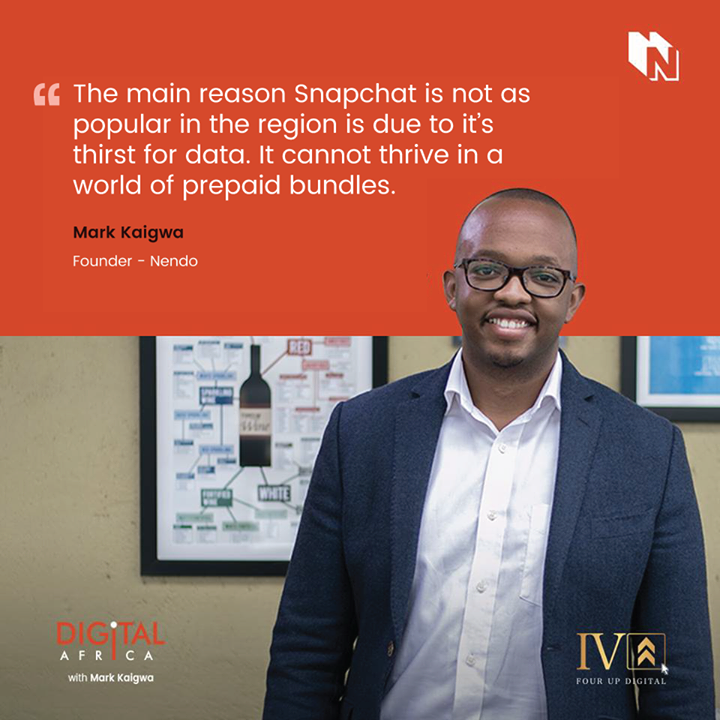 To start with, I launched a YouTube channel, Digital Africa with Mark Kaigwa, where I offer my take on statistics, insights and strategies on putting the web to work for your business and understanding connected African audiences. In my first video, 3 Ways to Use WhatsApp for Business, I present a tutorial on how to use the instant messaging app for business and impact. I called it w-Commerce in a previous newsletter, and all businesses would do well to get with the programme. * For both WhatsApp and Instagram, these are â€˜guesstimatesâ€™ and weâ€™ll explain the rationale in an upcoming post. Thereâ€™s contention about the figure but formula is sound. My team and I are available to interpret what this means for you and your business. Hit reply to write me on sharing insights on how these apply for your industry and audience. But donâ€™t just read it here, head on down to the page and watch it! Speaking of video, YouTube Go is here. Well not here, but it was launched in Nigeria, the second country after India to have the platformâ€™s lite version. Google recognises the limitations of connection in emerging markets and this is part of its plan to cement its presence in the continent. If you remember, in last weekâ€™s newsletter I mentioned Africaâ€™s smartphone and app usage. Google is following in the footsteps of Facebook Lite, which is the 4th most-downloaded app. I canâ€™t wait for Googleâ€™s October 4th event where I anticipate theyâ€™ll announce Android Go, a low-end operating system based on Android. David Garcia, a computational social scientist at the Complexity Science Hub Vienna. He was interviewed in this article that expounded on how on social media, privacy is no longer a personal choice. With the network effects of privacy, whether you stay away from Sarahah, TrueCaller and other apps matters lessâ€Šâ€”â€Šif your whole social network and address book join, youâ€™re there as a â€˜shadow profileâ€™ whether you like it or not. Crowdfunding can be a challenge, especially in this continent. It is a mix of marketing, vision-casting, salesmanship and digital marketing specialisation. Iâ€™m glad that Weldon & Navalayo, the team at Enda Sportswear wrote this 10 minute read on their process. It is a brilliant reverse-engineering article.This is the Kenyan running shoe that Lupita Nyongâ€™o recently wore at Afropunk. They unpack how they went about raising $125,000 and talk about their process putting it all together. The other team to go about a similar feat, who I watched present on this, was BRCK. They raised $172,000 from Kickstarter as well. I couldnâ€™t find Erik Hersmanâ€™s deck, but this overview of local options for crowdfunding feature, Pan African solutions and platforms, and a report by FSD Africa from October 2016 titled East Africaâ€™s Crowdfunding Landscape Study are some insightful reads in case you want to do some deep digging. A long read from the Guardian on Facebookâ€™s war on free will. Considering how focused I was on ensuring our first video did well on the platform, this makes sense to me, while still causing concern. There are still 650 million Africans without access to the internet, let alone Facebook. The battle for our attention and the desires and visions to connect the unconnected cannot go unchecked. If you still have your reading glasses on: Between 2012 and 2015 I travelled across eight countries working on a project that sought to change healthcare in the continent through storytelling and technology. This week I reflected on that after an event in Nairobi with The Lancet. I published a 10-min read (yes, thatâ€™s both a YouTube channel/video and a write-up. Big week!). You can read these thoughts on African-led Visionâ€Šâ€”â€ŠJourneys through Passports & Digital Products; Catalyst for Transformation in Healthcare. Thatâ€™s it from me this week. Hope you had a good one and as always, put away the devices for some time this weekend. Be sure to connect on Facebook. Enjoyed reading this? Did anything stand out to you? Weâ€™d love to hear from you and would appreciate if you gave us a clapðŸ‘� below. Weâ€™re on hand to answer comments or hear your perspective on the topics above. If you want to share this newsletter with someone, they can subscribe here. Copyright Â© 2014-2019 Nendo Ltd. Made in East Africa.